How do you delay the launch of an application in Windows 7 at startup? I'd like to delay the launch of some startup apps to give it some time to load the other ones before the one I want. 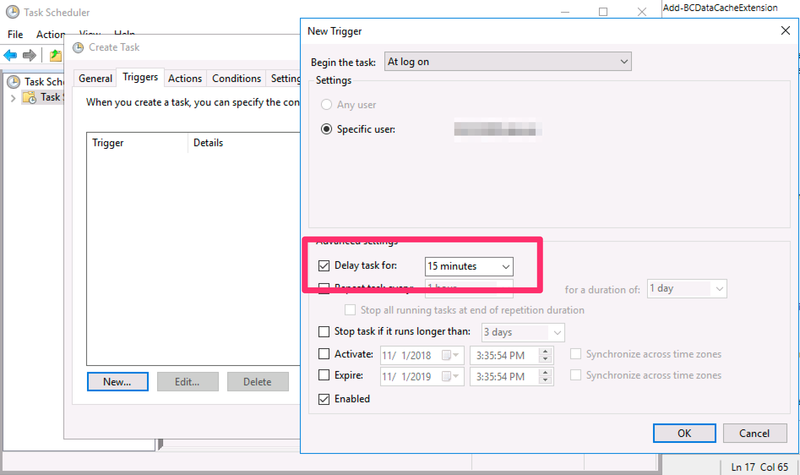 The Task Scheduler in the newer versions of Windows has got quite an overhaul. One of its improvements is to delay start a task. Simply set it to execute your 'apps' ON LOGON with different delays. Startup Delayer is a free program tha allows you to configure which programs to start first and which ones to delay when your computer is rebooted. You can set a custom delay for each one, even drag the visual display graph which shows you exactly how your programs are starting and allows you to easily modify the order or adjust delay times. Your run dialog pops up. I used standard build in Windows Task scheduler. Its simply- create task, and fill up all necessary pages - General, Triggers, Actions, Settings. cd "C:\Program Files (x86)\Mozilla Thunderbird"
Is there a way to know how much time a program takes at my computer's startup? How do I configure the Windows 7 slide show delay? How can I make the Windows 7 taskbar behave like a cross between the old Quick Launch and new Superbar? Can I have multiple custom startup configurations in windows 7? How do you launch a Windows 10 app at startup?